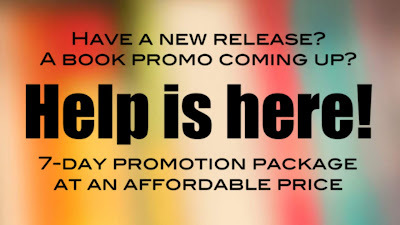 Do you have a promo coming up? So, why not let me assist you? Your book--Free, 99c, Half-Price, and New Release at any price--will be promoted on the Bargain&Free listing and social media. Why promote on this blog? Retweet my daily tweets for your promotion, to increase the reach of this promotion. There is no guarantee that the post and tweets will grant you sales, but they will certainly put your book in front of thousands of readers. Ready to expand your reach and earn new exposure? Simply fill out the submission form. Hello, Uvi! Thank you. You are not only a great artist but also a great artist with a huge heart! My pleasure Debby, and all the best! Thank you for the invite and the message regarding this generous offer and support.